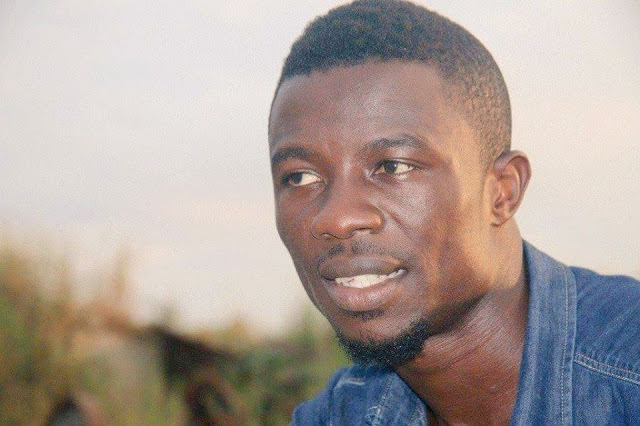 Kumawood actor, Kwaku Manu, has been granted bail after he was arrested at Ejisu in the Ashanti region. Some members of the Film Producers Association of Ghana (FIPAG) sought bail for him on Thursday, 26 April 2018 around 7:30 pm. Some of the producers who stormed the police station and secured bail for Kwaku Manu include, CEO of Miracle Films, Mr Samuel Nyamekye; James Agyemang, Charles K. Bentum among others. Nana Agyemang, popularly called Kyenkyina Twan, an actor, who was part of the promotion event that led to the arrest of Kwaku Manu, told Adehye FM’s Elisha Adarkwah that the producers were initially denied access to the actor but were later given the opportunity to see him. Kwaku Manu was arrested by the Ejisu-Juaben police on Thursday, at Ejisu market while promoting his new product called Drop Fruit drink in the company of some actors in the movie industry. He was said to have retorted: “What should we do again?”, after a police officer had asked him to park their Kia truck with registration number AS 9359 – 13 properly since according to the officer, the vehicle was parked on the wrong side of the road. He was then asked by the police officer to follow him to the police station where he was arrested and put in a cell.